Arguably the most popular Russian composer of all time, Peter Tschaikowsky’s music had a great appeal for the general public in its deep virtue and qualities such as rich, tuneful melodies, colorful orchestration, and profound emotional responses. In his lifetime, he wrote 7 symphonies, 11 operas, 3 ballets, 5 suites, 3 piano concertos, a violin concerto, 11 overtures, 4 cantatas, 20 choral works, 3 string quartets, a string sextet, and more than 100 songs and piano pieces. Tschaikowsky was the second of six surviving children, and showed a clear interest in music from a very young age. His earliest musical impressions came from exposure to piano in the family home, and a first recorded attempt at composition came in the form of a song at the age of four. Shortly after that, he began taking piano lessons with a local tutor, where he became familiar with the mazurkas of Frederic Chopin. Because music education was not available in Russian institutions at that time, his parents had not considered the possibility that their son may consider a musical career and instead chose to prepare their son for a career in civil service. Beginning in 1850, Tschaikowsky studied for nine years at the Imperial School of Jurisprudence in St. Petersburg, a prestigious boarding institution for young boys. He was a good student who was popular amongst his peers. He suffered his first emotional trauma in 1854, when his mother passed away suddenly from cholera. During the boy’s final years at the school, Tschaikowsky’s father finally came to realize his son’s musical talents and Tschaikowsky once again started piano lessons. When he was 17, his musical talents were recognized and appreciated by Italian singing instructor Luigi Piccioli. This recognition would be a contributing factor in Tschaikowsky’s lifelong passion for Italian music. During the summer of 1861, Tschaikowsky left Russia for the first time, traveling to Germany, France, and England. When he returned, he began attending music classes at the recently founded Russian Musical Society. A year later, the St. Petersburg Conservatory opened, and Tschaikowsky was among the inaugural students. Though he had been employed as a clerk within the Ministry of Justice, he resigned from the position and made the decision to dedicate his life to music. Tschaikowsky spent nearly three years at the Conservatory, studying harmony, counterpoint, composition, and orchestration. The first public performance of any of his works was in 1865, when Johann Strauss Jr. conducted his Characteristic Dances. After graduating that December, he moved to Moscow to teach theory for the Russian Musical Society (which soon became known as the Moscow Conservatory). He found teaching difficult (the faculty would meet every year to vote on whether or not to keep him on the staff), but he was friends with the director of the Conservatory, Nikolay Rubinstein, and that helped make the position bearable. He continued to write when he wasn’t teaching, and began work on his first Symphony, which received its first public performance in 1868. Also in 1868, Peter met a beautiful young Belgian mezzo-soprano named Desiree Artot. Though he briefly contemplated a marriage with her, their engagement ended in failure. His musical success was a distraction to this failure in his personal life, as his opera The Voyevoda was well received, even by “The Five” (an influential group of nationalistic Russian composers who were always at odds with Tschaikowsky, as they never fully appreciated the cosmopolitanism of his compositions). The first of his compositions to enter the standard international classical repertoire, Romeo and Juliet, was an overture that was subtly adapted to sonata form to mirror the dramatic structure of the Shakespeare play, and was premiered in 1869. Between 1871 and 1875, Tschaikowsky completed an impressive number of works, but not all of them received critical acclaim. He struggled to find balance in his operatic endeavors, but his instrumental works began to gain popularity and earn him his reputation. His Symphony No. 3 earned him almost immediate acclaim in Russia. At the end of 1875, Tschaikowsky left Russia to travel around Europe, predominantly in France and Germany, where he was exposed to performances and productions that would continue to inspire and impact his own works. He completed work on Swan Lake, the first of his famed trilogy of ballets. The 1877 premiere was unsuccessful due to poor staging and choreography and was soon dropped from the repertoire. Compositionally, his career was given new life at the end of the 1870s with the beginning of a remarkable relationship with Nadezhda von Meck, the widow of a wealthy railroad tycoon. They first met in 1876, and their association and interaction with each other would continue over the next 14 years. Nadezhda became a great admirer of his work, eventually agreeing to be his patroness and arranged a regular monthly allowance for him. One of her stipulations within this arrangement required that they never meet in person. With this monthly allowance, he was able to resign from the Moscow Conservatory in 1878 and devote his life to writing music. He spent winters in Europe and returned to Russia in summer. Because he never met with von Meck in person, they engaged in a large amount of correspondence that is the basis of a remarkable historical record of their lives, including free expression on their views on a wide topic of issues. The period after Tchaikovsky’s departure from the Conservatory proved creatively very productive. Early in 1878 he finished several of his most famous compositions—the opera Eugene Onegin, the Symphony No. 4 in F Minor, and the Violin Concerto in D Major. His other major achievements of this period include Serenade for Strings in C Major, Opus 48 (1880), Capriccio italien (1880), and the 1812 Overture (1880). In 1885, Tschaikowsky settled down outside of Moscow in Klin and began a daily routine that included reading, walking in the forest, composing in the mornings and the afternoons, and playing piano duets with friends in the evenings. Having a lifelong fear of conducting, he finally overcame his trepidation in 1887 and conducted the premiere of one of his operas. At the end of the year he began a European concert tour as a conductor which was met with resounding success, and a second tour occurred in 1889. Sleeping Beauty, the second of his ballets, was completed in August of 1889. Late in 1890, Nadezhda von Meck wrote to him and informed him that she was close to ruin and could not continue his allowance. This led to the cessation of their correspondence, which resulted in considerable agony for the composer. He was invited to visit the United States for the inauguration of Carnegie Hall in New York City in the spring of 1891. While in the US, he conducted before audiences in New York, Baltimore, and Philadelphia. When he returned to Russia, he completed his final two compositions for the stage, the opera Iolanta and the ballet The Nutcracker in 1891 and 1892, respectively. He began work on his Symphony No. 6 in February 1893, a work which was destined to become his most celebrated masterpiece. His worldwide recognition and popularity was confirmed by his many triumphant European and American tours and his acceptance in June 1893 of an honorary doctorate from the University of Cambridge. Tschaikowsky himself conducted the premiere of the sixth symphony in St. Petersburg on October 16, 1893. Though the reaction from the audience was mixed, it did not impact the composer’s belief that it should be considered among his best work. On October 21, he suddenly became very ill and was diagnosed with cholera, an epidemic sweeping through the city. Despite extensive medical efforts to save him, he died from complications only four days later. Rumors circulated among his contemporaries regarding the possibility of suicide, and those rumors were reexamined in the late 20th century by some biographers, but no documentary evidence exists to support or refute those allegations. For most of the 20th century, critics were profoundly unjust in their reviews regarding Tschaikowsky’s personal life and music. During his lifetime, he was considered insufficiently nationalistic by Russian musicians. In the Soviet Union, however, he became an official icon, of whom no adverse criticism was tolerated; by the same token, no in-depth studies were made of his personality. But in Europe and North America, Tchaikovsky often was judged on the basis of his sexuality, and his music was interpreted as the manifestation of his deviance. His life was portrayed as an incessant emotional turmoil, and only at the turn of the 21st century was a realization made that this traditional portrayal was fundamentally wrong, when close scrutiny of Tchaikovsky’s correspondence and diaries were examined, after finally becoming available to scholars in their uncensored form. As seen in the archival materials, Tchaikovsky eventually succeeded in his adjustment to the social realities of his time, and there is no reason to believe that he was particularly neurotic or that his music possesses any coded messages, as some theorists have claimed. His artistic philosophy gave large emphasis on what may be called “emotional progression”—the establishment of an immediate rapport with the audience through the anticipation and eventual achievement of catharsis. His music does not claim intellectual depth but conveys the joys, loves, and sorrows of the human heart with striking and poignant sincerity. He steered an unlikely path between the nationalist tendencies so prominent in the work of his rivals in The Five and the more modern cosmopolitan stance emphasized by his conservatory training. Therefore, he was both a Russian nationalist and a Western writer with polished technical skill. His personal mark on the late 19th century is most widely recognized in his last three symphonies, which display both a heightened sensitivity and subjectivity, and would influence Mahler, Rachmaninoff, and Shostakovich. The first great Russian symphonist, he exhibited a particular gift for melody and orchestration and was clearly influenced by Russian folk music. In his best work, the powerful tunes underlining musical themes are harmonized into magnificent, formally innovative compositions. His resourceful use of instruments allows easy identification of most of his works by their characteristic sonority. 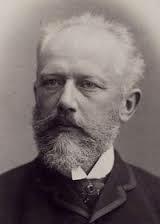 Tchaikovsky excelled primarily as a master of instrumental music; his operas, often eclectic in subject matter and style, do not find much appreciation in the West, with the exception of Eugene Onegin and The Queen of Spades. Whereas most of his operas were met with limited success, Tchaikovsky nonetheless proved eminently successful in transforming ballet, then a grand decorative gesture, into a staged musical drama, and thus he revolutionized the genre.